Home » Competitions » Win with Warwick Wine this Mother’s Day! Win with Warwick Wine this Mother’s Day! Warwick Wine Estate in Stellenbosch is known as the official wine of Mother’s Day. 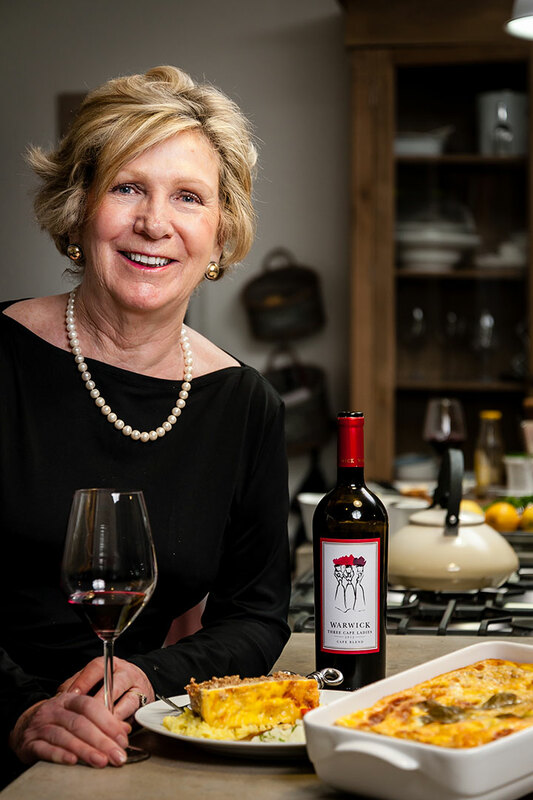 Norma Ratcliffe, Warwick’s founder and matriarch was one of the first female winemakers in South Africa and is known as the First Lady of South African wine. The wine business has been in the Ratcliffe family for over half a century and the Warwick wines have become synonymous with quality and fine taste. Warwick also offers high end gourmet picnics whilst being a child friendly venue at the same time. Warwick Wine Estate is giving away 18 bottles (3 cases) of its famous Three Cape Ladies blend. Voted as one of the “Top 100 Wines in the World” by the Wine Spectator magazine, it is an exotic blend of Cabernet Sauvignon, Shiraz and Pinotage, a combination known as a Cape Blend. The prize will be delivered directly to the winner’s door with Warwick’s compliments. Please visit www.warwickwine.com for more information on the wine. WIN! We’re giving 1 (one) lucky reader the chance to win with Warwick Wine this Mother’s Day! Stand a chance to win 18 bottles (3 cases) of Warwick Three Cape Ladies Red Blend (valued at R3 060) by simply completing the entry form below. Terms and conditions apply. Competition ends 14 May 2017.